Are you tired of running around town looking for that Brass Push-to-Connect Fitting? This assortment contains 19 of the most popular shapes and sizes of 1/4” & 3/8” Push-to-Connect Fittings. 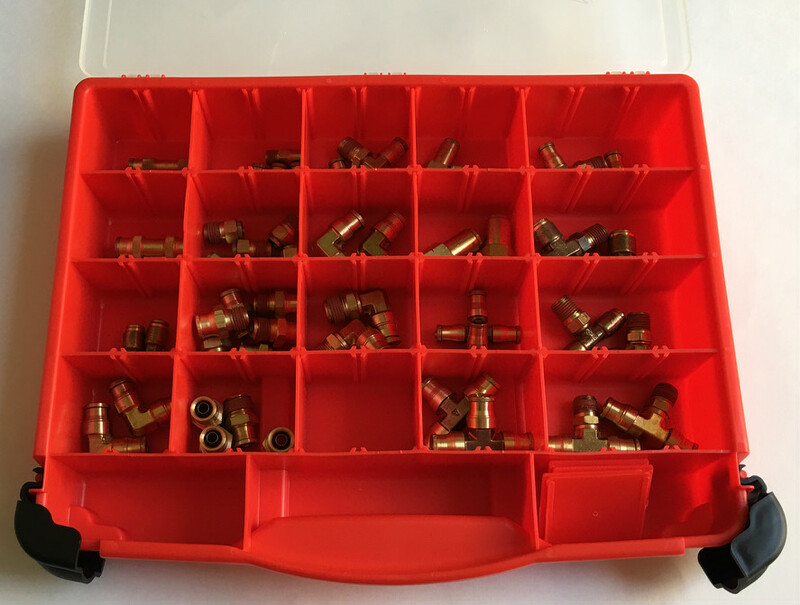 50 total brass Push-to-Connect Fittings are in this assortment. This kit comes complete with a Fitting Storage container. Working Pressure: This fitting is suitable for for use up to the maximum working pressure of the recommended plastic tubing.